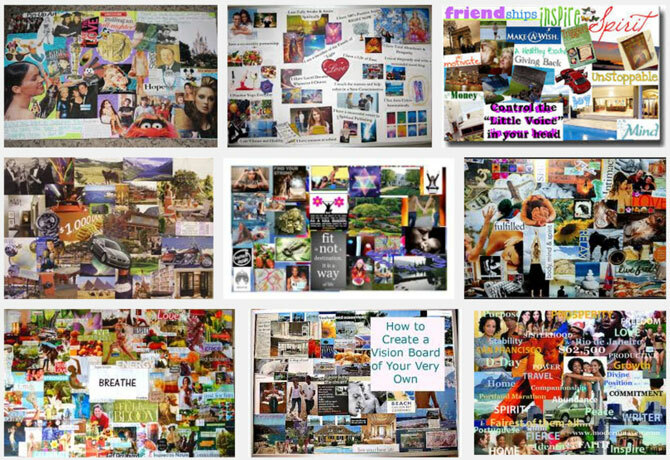 We will provide the supplies you need, simply show up ready to make your 2018 vision board and manifest your dreams into reality! ​​6:30 p.m. - 9:00 p.m. In this workshop you will first learn about the "Law of Attraction" and the steps to manifest your dreams and desires. Thoughts become things - meaning - what we think about is what we manifest in our lives. Everything that happens, we are actually attracting to us - from the relationships we have with people, the jobs we work at, to the "snowball effect" of what happens to us on days when nothing seems to go right. (We've all had those days!) What we think (and feel) is very powerful! And if you're interested in making changes in your life for 2018, this is the workshop for you! We will supply: Poster board, Magazines, Scissors, Glue Sticks, Markers and Colored Pencils. Feel free to bring extra supplies and we will allow people to bring food and drinks (even wine!) to this event. We will play a guided meditation in the background that is specific for helping you manifest your desires and create abundance in your life. ​Tristan David Luciotti ​is the owner of Vision8Studio and has practiced positive thinking and manifesting for ten years after reading the book The Secret. In the last 2 years, Tristan studied the law of attraction in more depth and got very serious in how he manifested his dreams. He learned new approaches that worked wonders in his own life that he wants to share with you. The law of attraction works if you do it the right way and Tristan goes beyond The Secret. Tristan will also discuss the "timing" of what you're trying to manifest and why some things may not seem to be happening for you. He will dive into the psychology, emotions and spirituality of how to be the master of your destiny. ​​Contact us if you would prefer to pay via PayPal or mail a check.